Goldmember is the name of this amazing machine. Built by Canadian Roger Goldammer from Goldammer Cycle Works. Goldammer knows how to build bikes and he builds most parts on his show bikes. 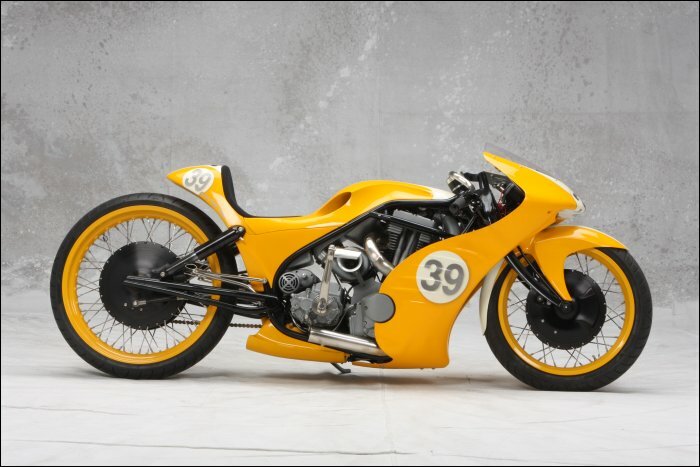 This bike won last years Official World Championship of Custom Bike Building. Not only does it look great, it also performs well. 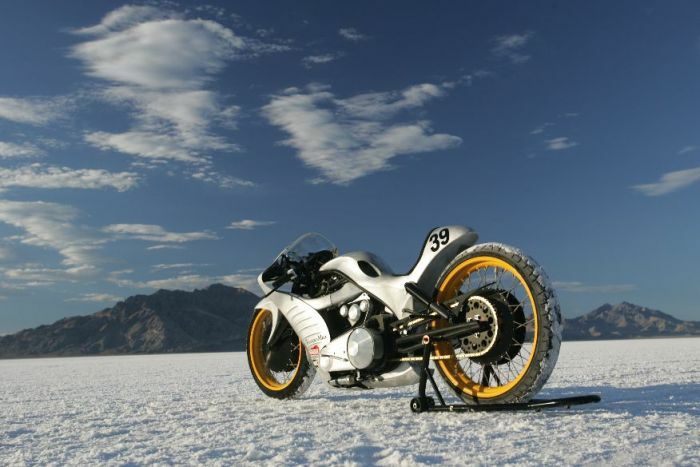 Recently becoming a world record holder, averaging over 160 miles per hour at the Bonneville Salt Flats. Wouldn’t you love to ride this beast on a salt lake? In the words of the other Goldmember… Yeah baby!